When you make quality vehicles and sell a lot of them, and you also make a luxury line, sometimes you get unfair criticism thrown your way. Such is the case for Honda and their luxury brand Acura. And this week, I get behind the wheel of Acura’s best-selling vehicle to see if it’s “nice enough”. Undoubtedly I hear the argument that an Acura is just a trimmed-out Honda. While there are similarities, having spent a week with the 2017 Acura MDX, it’s not an accurate statement. 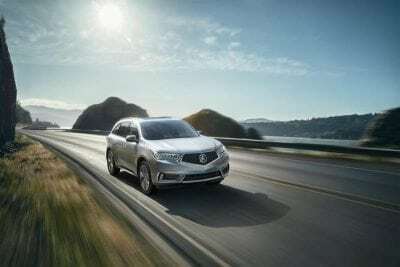 For this model year, the MDX has minor changes but has a new-enough looking exterior to make it seem like drastic changes. 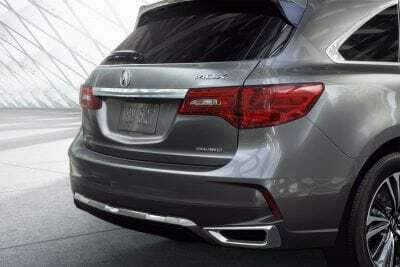 In fact, the MDX has a new front end including a new grille and refreshed headlights. 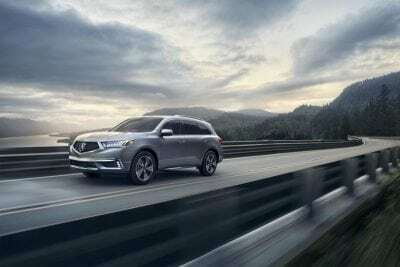 Kudos to Acura for keeping the MDX vibrant and modern without needing a major overhaul. The grille now looks more like a superhero badge with a framed out polygonal shape. The toned-down grille suits this SUV. The carved lines in the hood help with the flow of the MDX. This SUV looks more stylized and car-like than ever before. It does have a luxurious vibe when you just glance it. 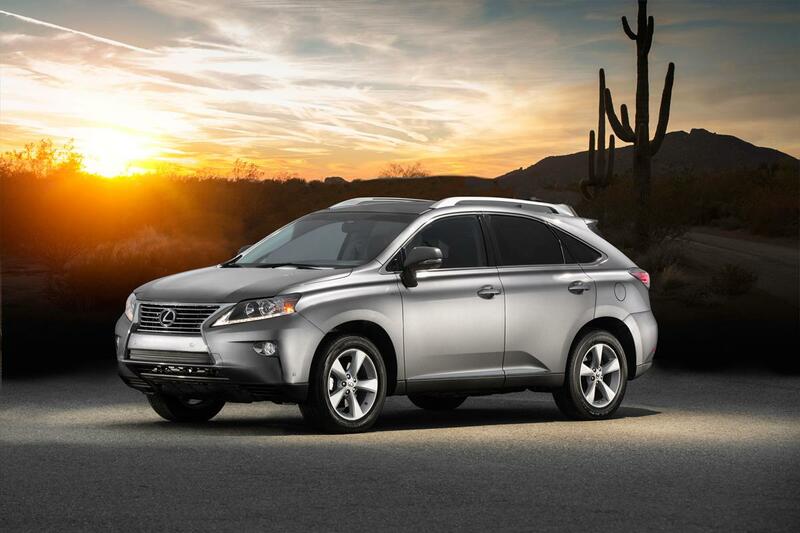 The squinty LED headlights are stylish, and extend over the front end and slope toward the side panel. These lights add distinction to the MDX at night. 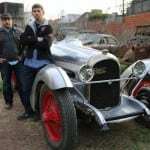 The 3.5-liter V6 engine is a carry-over from the last model. It’s still perfectly powered. Make no mistake, the MDX can’t be considered exhilarating or even sporty. It’s certainly well-powered and capable. 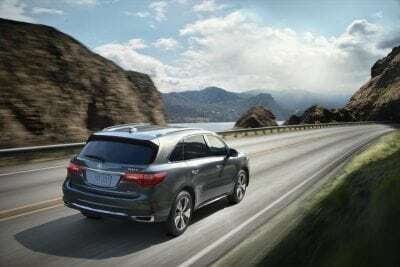 With the SH-AWD (which stands for Super Handling All-Wheel Drive), the MDX is a great family hauler or daily driver that is ready for changing road conditions. For a three-row SUV, it’s quite agile. It holds to the road and handles well through turns all with minimal road noise intrusion. The nine-speed automatic transmission is outstanding. It may be my favorite transmission on the market today. It is a push-button transmission (no knob or shifter), but that takes no time to get used to and it’s actually quite intuitive. 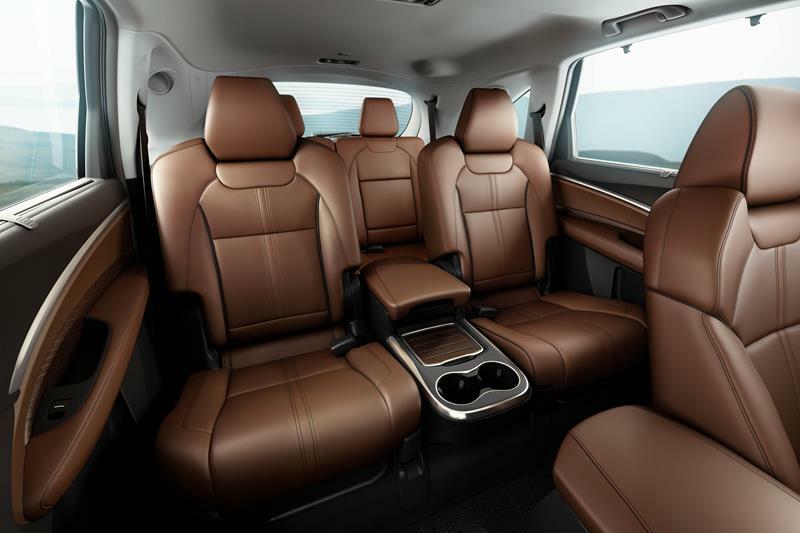 Even though it’s mechanically similar to the Honda Pilot, the MDX’s interior is significantly different from the Pilot. Luxury abounds with soft touch points and a comfortable driving seat with a great vantage point of the road. The back seat has ample leg room, but a slightly impaired headroom (in comparison to the boxier Pilot). The third row is ideal for only children, but still boasts soft materials and comfortable seats. 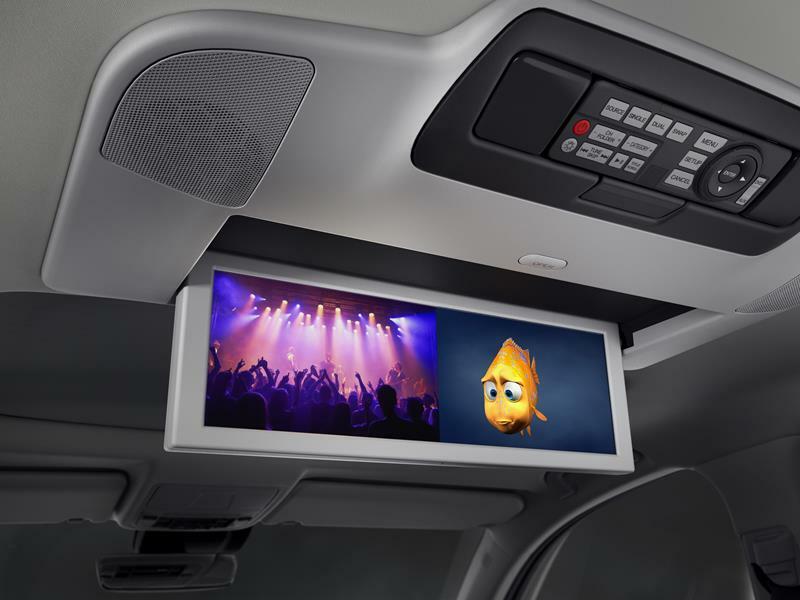 There’s a split-screen dual-screen infotainment system. Why Honda/Acura continues to split the screens doesn’t make sense to me. The upper screen is 8 inches and the lower screen is a 7-inch touchscreen. Both cover different parts of the infotainment system. This is part of the reason it’s not an intuitive system. It’s not very advanced technologically and overall is uninspiring. 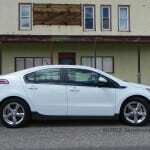 There are three trim levels offered – Standard, Technology and Advanced. My tester was Advanced, with a starting MSRP of $59,340. 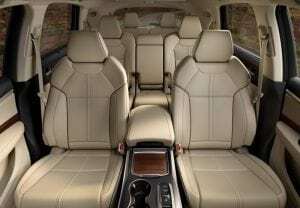 Exclusive offerings for this trim include start-stop technology, ventilated front seats, heated second row seats and a heated steering wheel. A panoramic sunroof is available as are parking sensors and a cool 360-degree camera. 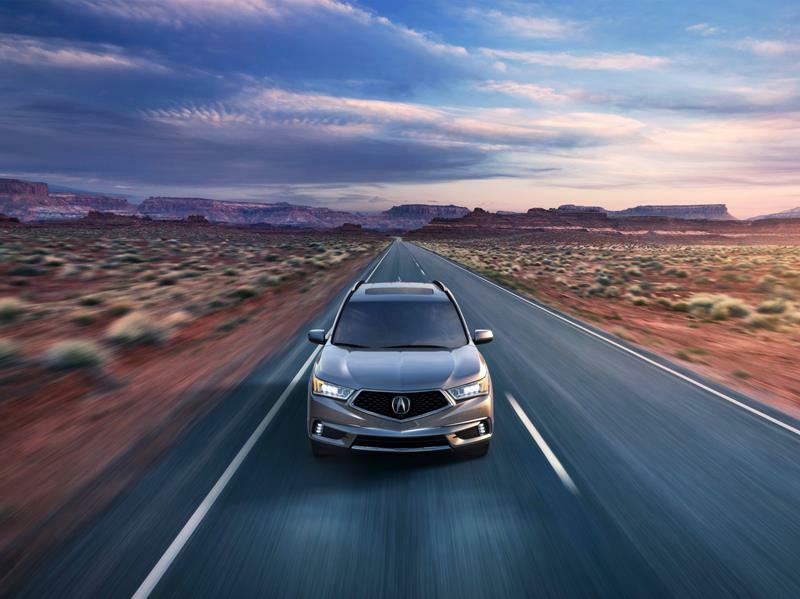 The MDX with AWD has an EPA rating of 19 mpg/city and 26 mpg/highway. The FWD version gains one extra mile per gallon but that would take away one of the finest features of this seven-passenger SUV. The handling and performance are truly aided by the outstanding all-wheel drive system. 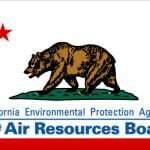 In a week’s worth of driving, I averaged 22 mpg. 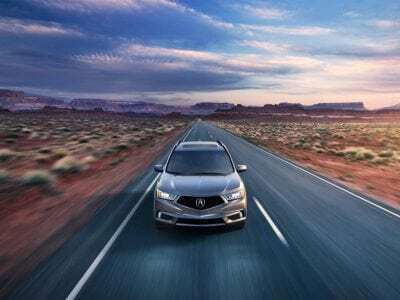 It’s a crowded market for the Acura MDX to compete in. 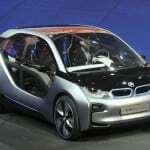 Non-luxury vehicles are getting nicer and the Germans as well as Lexus and Infiniti are making solid luxury vehicles. Now Hyundai is starting to engage in the luxury segment. 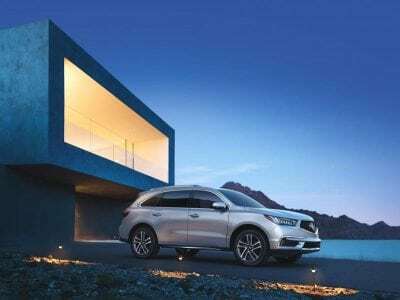 So, it’s fair to ask the question if the Acura MDX is “luxury enough”. And certainly, that is subjective. Having spent a week in the MDX and having intimate knowledge of the Honda Pilot (I recently owned one), the MDX is very different and feels more special than the Pilot. Though mechanically similar, they’re like half-siblings who share a lot of great features, but one has a much better pedigree.